I’ve had the Frank scrub for a couple of months and I’ve used it a handful of times. 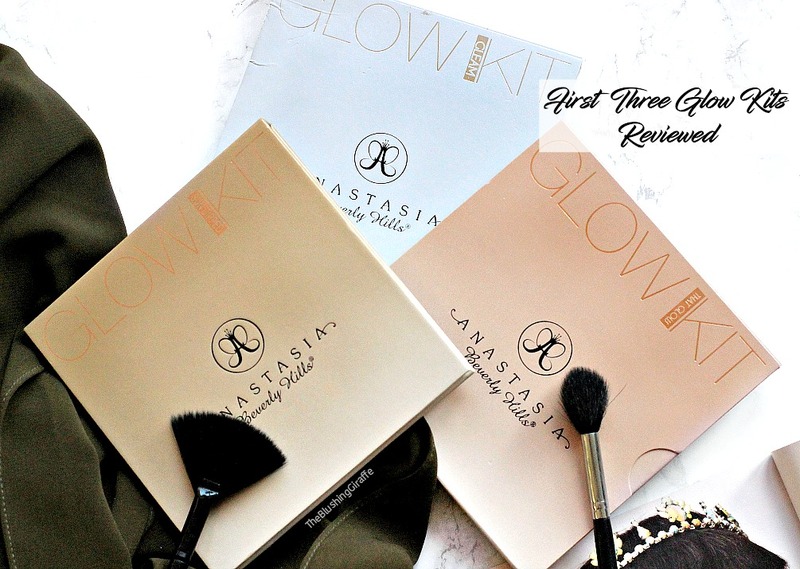 It’s finally time to write a review and let you guys know my experience with the stuff! So the Australian brand ‘Frank’ produce coffee based products. It all started with this original scrub and now they have expanded their line to facial scrubs, cleansers and moisturisers. 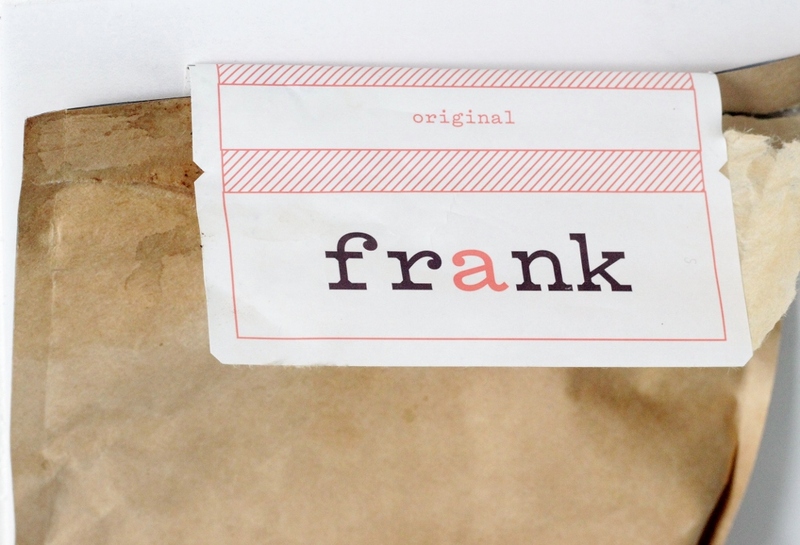 Frank have been one of the smartest brands ever to use social media to their advantage. 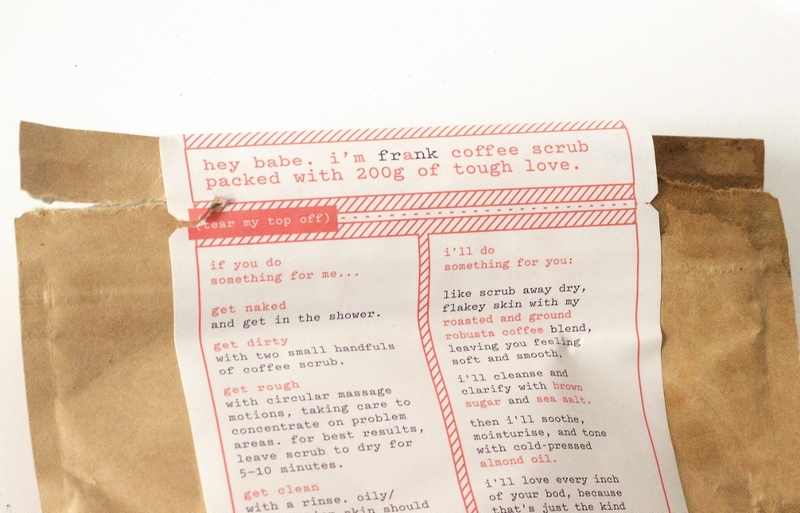 With the hashtag #Frankbody all over Instagram and the bizarre yet intriguing photos of people covered in coffee scrub, I have to say I was drawn in enough to order myself a bag without much persuasion! This truly is a case of #theinternetmademebuyit. The rather ‘out-there’ website boasted impressive claims and before I knew it I had one posted through my letter box. The scrub is packaged in a sturdy paper bag, which is lined with a foil type of material and has a seal on the inside. I was surprised about the choice of material, but despite it being left on the damp side of my bath tub it’s remained very much intact. On the back there are the directions, advantages of using the scrub, ingredients and social media info. The whole Frank theme is one of a jaunty, cheeky feel - with lots of use of the words ‘babe’ which I read in my head with the best Aussie accent I can muster. I have to say I’m not the biggest fan of their website, with zoomed in gifs of people applying the scrub, it’s a little unnerving and dare I say a little too much? It’s certainly an out-there brand and they aren’t afraid to stick to that theme! The original scrub claims to target dry skin, cellulite, eczema, stretch marks, psoriasis and acne...a lot right! The key ingredients are roasted and ground coffee beans, which stimulate the blood flow and apparently this is which targets those problem areas. It also contains one of my favourite oils - sweet almond oil which hydrates the skin and also promotes skin healing. They recommend you use it 3-5 times a week, which would mean the bag would last you around 5 weeks maximum. They also say to concentrate it on problem areas and leave it there for around 5-10 minutes before rinsing off. I have to say I was taken aback by how much the scrub looked like soil - the stuff you get from garden centres. 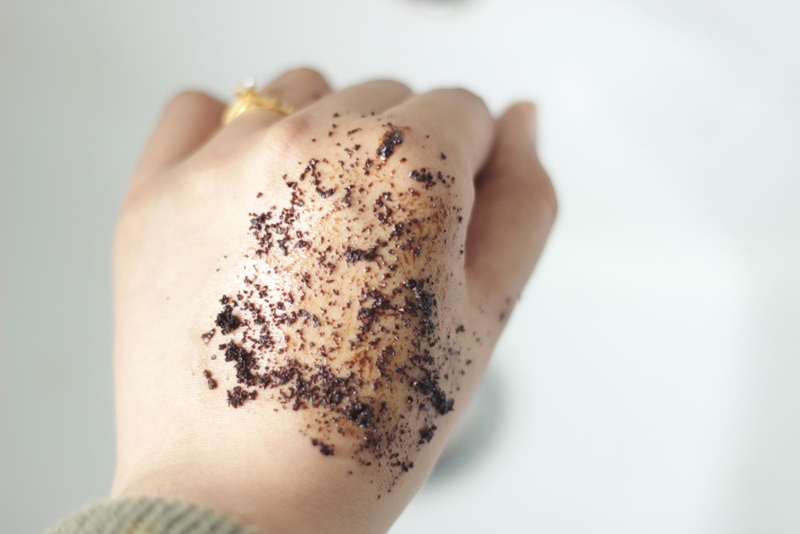 As the scrub comes into contact with damp skin, it almost looks like you’re rubbing on a tan which is actually the colour of the ground coffee beans. It doesn’t feel rough but you can feel it gently buffing away the flaky dry skin. Personally I’m a morning shower person so I found leaving it on for longer than a couple of minutes impractical...which might be why I didn’t really notice it doing a whole lot for my ‘problem’ areas ._. Also as you might guess, from getting the scrub out of the bag and rubbing it on the skin, the bath is inevitably going to get messy! Plus washing it off, the grounded up beans do end up getting all over the bath tub and I always have to rinse it twice afterwards which is a pain in the morning when you have places to be. You get 200g for £11.95 so it’s not the cheapest scrub on the block, especially if you do use it several times a week, however if you’re careful with the scrubbing you can make it last. When I get out of the shower my skin does feel more moisturised and smooth, however I’m not convinced that it’s as effective as it claims to be. There are RAVE reviews on the net, with many people saying it has helped their skin problems, so it could just be that I’ve not been consistent enough...however I don’t think it’s the best scrub ever for me. Pros: Contains a handful of good raw ingredients, vegan, they don’t test on animals, sturdy packaging which keeps the scrub fresh, makes the skin feel smoother and a little moisturised, doesn’t smell strongly, is decent value for money, fast delivery and it has worked very well for many people. Cons: It just doesn’t live up to the super claims for me. I saw no difference with stretch marks, my skin didn’t stay soft for a long time and it’s probably because I didn’t have the time to keep it on for longer than a few minutes. It's also too messy to use in the mornings, who has time to rinse out the bath twice after a shower?? Repurchase? No, its not for me. I still have a third of the stuff left and will probably use it as a face scrub in the evenings, but it hasn’t wowed me enough to want again. 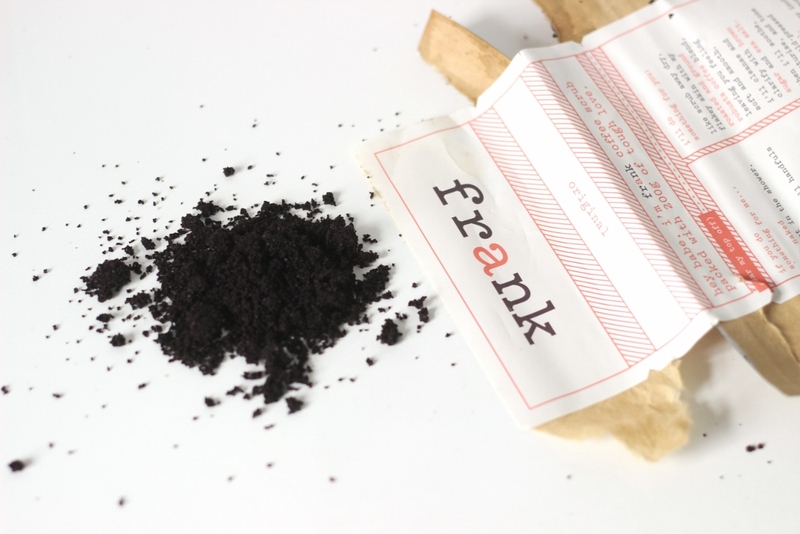 Have you tried anything from the Frank range? What was your experience?